Gotmail - The White Day is another Japanese point and click escape the room game from Gotmail. Like the other Gotmail games this game has really good graphics and sounds. Objective of this game is escape from the room by finding and using items and clues. Gotmail - Behind closed doors fell in darkness is another Japanese point and click type room escape game from Gotmail. In this game, you have to search the room for items and some clues to escape the room. Good luck and have fun! Mad Man Behind Closed Doors Escape a.k.a. Misshitsu Kurui no Otoko Escape is another Japanese point and click type room escape game from Gotmail. In this game, you have to search the room for items and some clues to escape the room. Good luck and have fun! The Bouquet of Betrayal Escape is another Japanese point and click typeroom escape game from Gotmail. 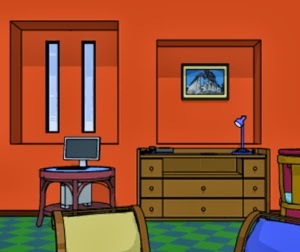 In this game, you have to search the room for items and some clues to escape the room. Good luck and have fun! 12 View keys, get the sun object; into the chamber, narrow stone in the hands of the box, opened the door into the sun after the object, open the door to emerge as the Good End !